A naturally Low Caffeine tea collection to relax the mind and soothe the spirit, this box is the perfect way to enter the wonderful world of herbal teas. 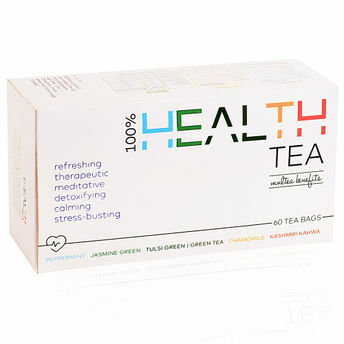 Inspired by health enthusiasts and their zeal for being healthy, this unique collection of the finest quality infusions, is a remedying blend for the healthy soul. With fresh, sustain-ably harvested leaves, herbs and spices, these teas are rich with distinctive flavours and intrepid individuality. 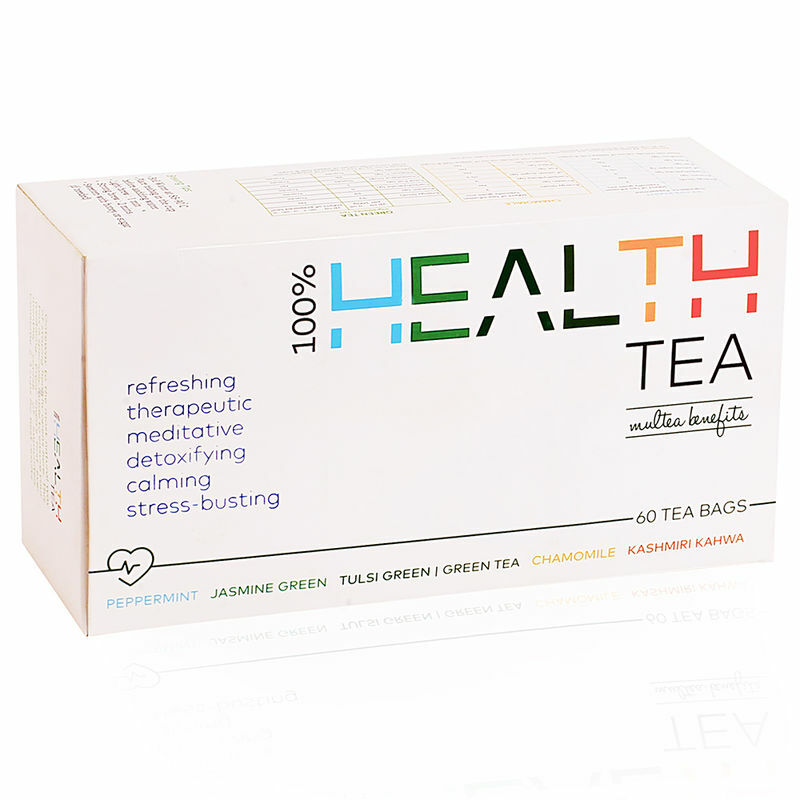 The box includes the rejuvenating Chamomile tea bags, the detoxifying Green tea bags, the delicate jasmine green tea bags, the spicy Kashmiri Kahwa green tea bags, the aromatic Tulsi green tea bags, and the refreshing Peppermint tea bags.